If you cannot read this page properly, please click here. 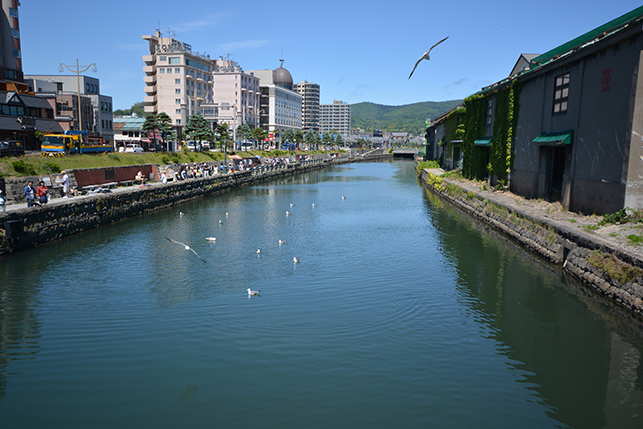 Otaru Canal was completed in 1923. It was the important and essential waterway for development of the port city Otaru. Its role ended in 1986, the part of it has been transformed into walking path and public space. The historical warehouses along the canal are now reborn as cafeteria and restaurants, etc. 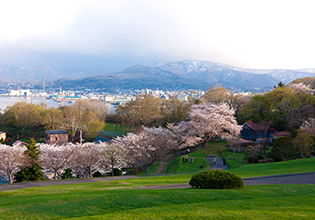 Temiya Botanical Garden is located in the north side of Otaru-city. 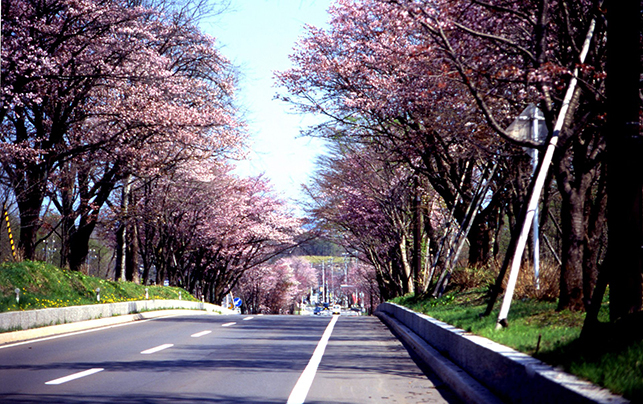 It's a very popular place for citizens and tourists to enjoy Cherry blossom in Spring time. 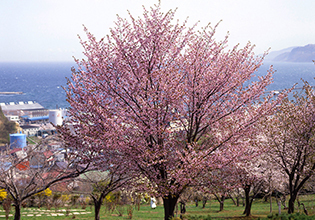 Approximately 690 Cherry trees (“Ezoyamazakura”, “Someiyoshino”) will be in bloom from the beginning of May to the middle of May in general. Ginrinsou is located 30 minutes from Sapporo in the port city of Otaru on the west coast of Japan's northernmost island of Hokkaido. 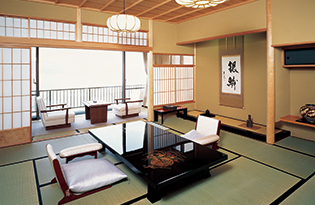 Priding itself on its historical heritage, architectural legacy, and impeccable service, Ginrinsou is one of Hokkaido's most prestigious ryokan. Ultimate relaxation is offered by soaking in its beautiful open-air hot spring bath set high atop a small cape with a breath-taking panoramic view of Ishikari Bay. For your dining pleasure, French cuisine, as well as an outstanding selection of Japanese food highlighted by seasonal seafood delicacies, is offered at its tastefully decorated Ginrinsou Grill. Ginrinsou had its beginnings over 130 years ago, in 1873. At that time the local waters, teeming with herring, brought unprecedented wealth to the local region and gave rise to the 'herring estates' of the prosperous herring entrepreneurs. Sparing no expense, they called in master craftsman who selected the very best of the world's most highly regarded wood and stone and erected magnificent private estates. Ginrinsou's 18 spacious and luxurious guest rooms, divided between its main and new wings, offer a homely ambience within surroundings imbued with the legacy of its past. Many of the individually distinctive rooms feature an in-room hot spring bath and a dramatic view of the bay. Evident throughout is the elegant architecture heralding back to the early days of the region's prosperity which is marked by carefully selected wood and stone that has been masterfully crafted by renowned artisans. 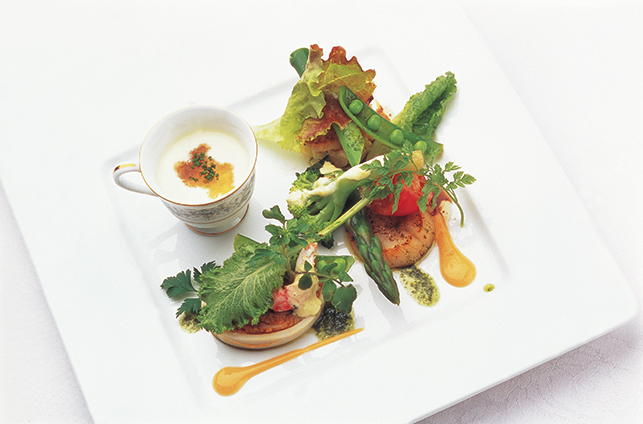 Otaru's abundance of natural bounty from sea and land alike, enables the Ginrinsou Grill to offer both sophisticated French cuisine as well as a selection of sumptuous seasonal seafood and other Japanese delicacies, living up to the highest of expectations. Its distinctive architecture further enhances your dining experience and ensures it will be a truly memorable occasion. For a friendly chat over drinks, or even a little karaoke singing, the Bar with its relaxing ambience provides the perfect venue. 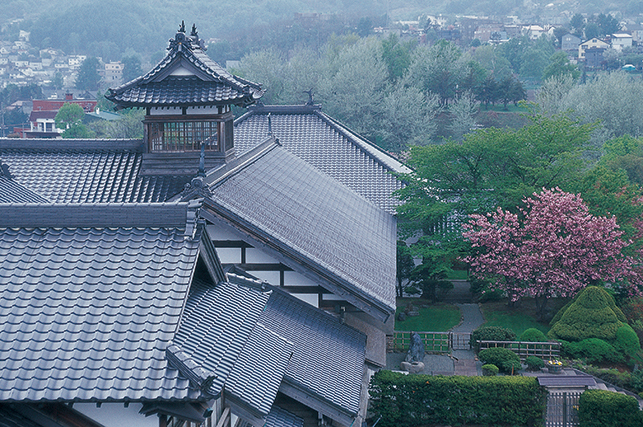 ©Institute Noboribetsu International Tourism & Convention Association All Rights Reserved. In Spring time, you see approximately 2km long of Cherry blossom Tunnel in Nakanoboribetsu. These trees were planted by citizens in commemoration of the birth of the Current Emperor in 1934. 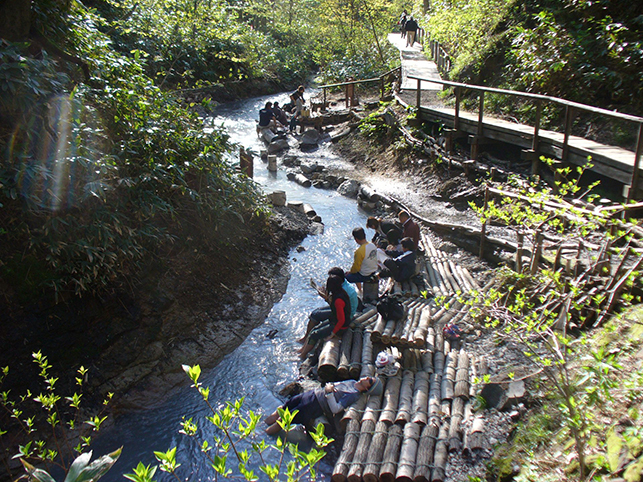 Have a rest and soothe your tired feet in the Oyunuma River which flows from Oyunuma. Enjoy wonderful footbath in nature. 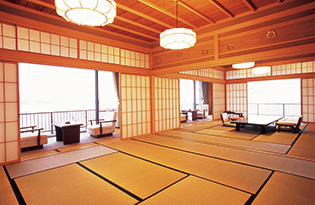 One of their room is this combined Japanese/Western room which meant for two to four persons. 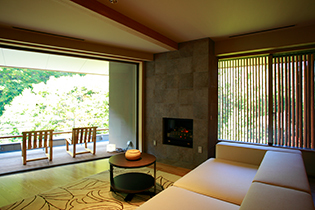 The sense of luxurious comfort is enhanced by a cheerful fireplace, big couches and corner windows overlooking the woods and the garden, as well as the large hinoki wooden bathtub inside next to a huge window that looks out onto the woods. Twin beds provide a restful environment for sleep. 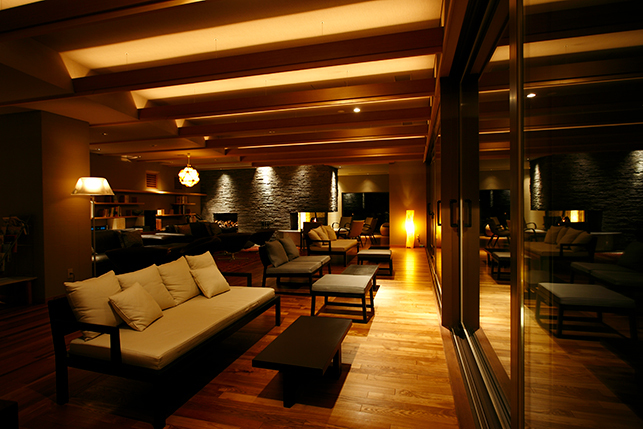 Takinoya has two onsen hot spring bathing areas, on the top floor and the ground level. 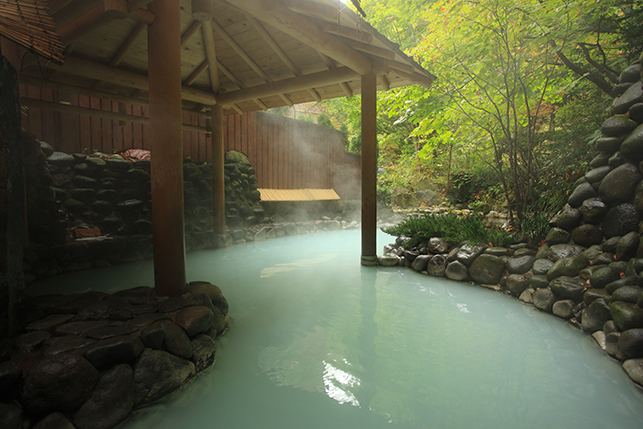 The lower level spa, "Chien no Yu," has five different rocky bathing pools, each with a different kind of natural onsen water, such as salt spring, ferric spring (which is replete with iron), and sulphur spring, as well as different levels of acidity and alkalinity, to ease and treat a variety of ailments, from garden-variety aches and pains to neuralgia, diabetes and many other disorders. The rotemburo outdoor pools are down at the end of an adventurous path, a little chilly in winter, but worth it for the feeling of blissful warmth they impart. 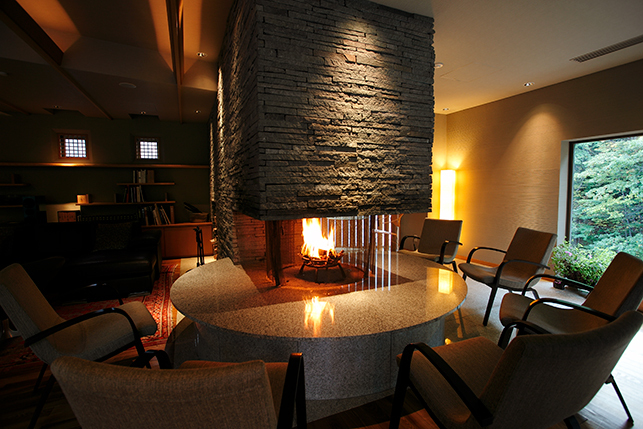 The lounge is an inviting presence on the cool Hokkaido nights, with a cheery fire and a friendly stand bar. There is also a shop that sells local crafts, culinary specialties and alcoholic beverages. For more information and queries, please visit www.ryokancollection.com or contact our concierge at info@ryokancollection.com or +81 3 6824 1015.